Piyush Goyal was appointed interim finance minister on January 23 with Arun Jaitley undergoing treatment in the United States. 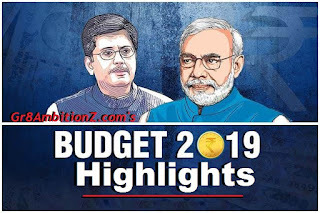 This is Modi government’s 6th union Budget and 1st Interim budget. An Interim Budget usually doesn't list out new schemes or doesn't unveil any policy measures. 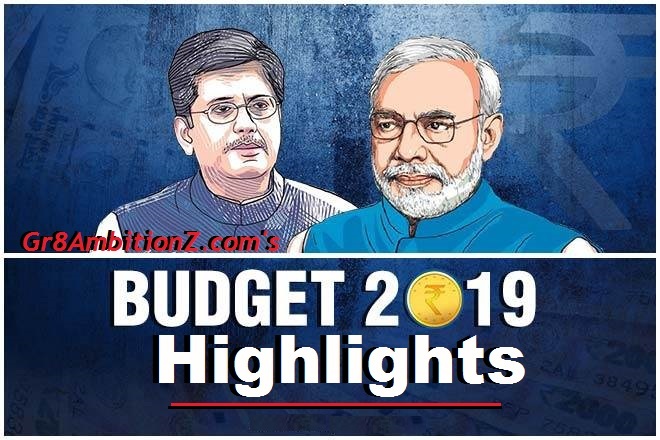 This budget is crucial given that it is taking place months ahead of the Lok Sabha elections 2019. Any major announcement will have major political significance. The Economic Survey 2019 was not presented. The new government, elected after general elections due by May, is expected to present a full budget in July along with the Economic Survey. Farmers having up to 2 hectare of lands will get Rs 6,000 per year in three equal installment. The scheme will be effective from December 1, 2018. Railway's operating ratio seen 96.2% in FY19 Vs 95% FY20. We have recovered Rs 3 lakh crore through Insolvency and Bankruptcy Code. Govt expects banks on the central bank's Prompt Corrective Action list to be removed soon.